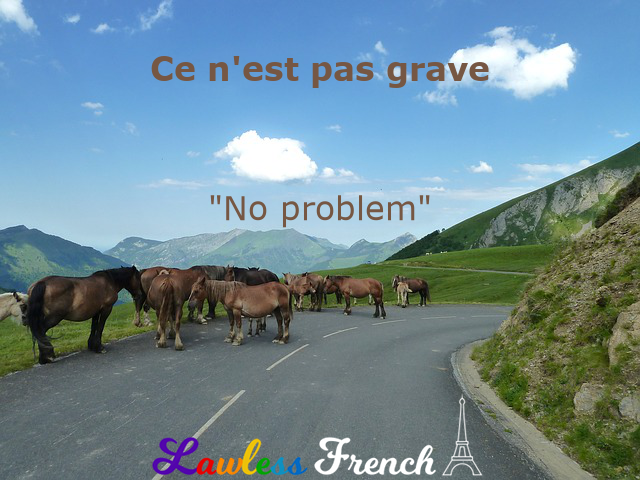 Usage notes: Ce n’est pas grave is a very common French expression used to shrug off something that was said or done. It can acknowledge an apology, minimize a problem, or proclaim one’s wellness after a mishap. Informally, it’s reduced to c’est pas grave (learn more) or even just pas grave. Ce n’est pas grave, on peut attendre qu’ils s’en aillent. No problem, we can wait for them to move. – J’ai perdu ton stylo. – Ce n’est pas grave, j’en ai d’autres. – I lost your pen. – No problem, I have others. 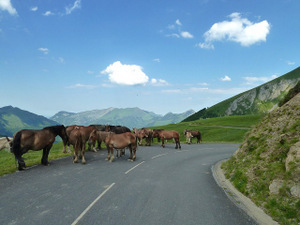 – Oh, pardon, je ne t’avais pas vu ! – C’est pas grave. – Oh, sorry, I didn’t see you! – It’s OK, no worries.